Vaishali/Patna/New Delhi, July 1, 2012: As per the order of District Magistrate (DM), Vaishali, Bihar in the matter of opposition to the proposed white asbestos based plant of Utkal Asbestos Limited (UAL) company, fifteen members of Khet Bachao Jeevan Bachao Jan Sangarsh Committee (KBJBJSC) comprising of villagers of Kanhauli Dhanraj Panchayat of Goraul block and representatives of the UAL met in the office of Sub Divisional Officer (SDO), Mahuwa, Vaishali on June 30, 2012 to discuss grievances against the hazardous plant. This tripartite meeting was necessitated by villagers Mahadharna of June 14, 2012 against the plant. The committee members referred to the abstract of a paper titled ‘Asbestos-An Important Public Health Hazard’ published for the National Convention of Chemistry Teachers and National Seminar on “Emerging Trends in Green Chemistry during October 15-17 2011 that is recognized with a message from Nitish Kumar, Chief Minister, Bihar. In the abstract of paper, it is stated that as early as “In 1935 first time, Lynch Smith described a lung carcinoma in a patient with asbestosis (fibrosis of the lung caused by the inhalation of asbestos dust). 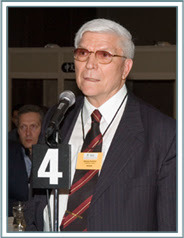 A large number of clinical, epidemiological, and experimental studies established carcinogenic effect of different types of asbestos fibers on various tissues and organs, both in humans and in experimental animals. Inhalation is major source of exposure in humans.” It also noted that “its (asbestos) diffusion in the occupational and general environment causing a lot of health hazards even cancer.” This even was recognized by International Union of Pure and Applied Chemistry (IUPAC) and United Nations Educational, Scientific and Cultural Organization (UNESCO) as part of The International Year of Chemistry 2011. Villagers expressed the hope that the Chief Minister will take cognizance of the scientific facts which was brought to his attention from the chemistry teachers through the convention and seminar organized by Department of Chemistry, AN College, Patna. This presentation of scientific facts by the committee made all the parties acknowledge the hazardous nature of the asbestos based factories. It is also recognized as one of the 64 heavily polluting industries under Red Category. In fact, commerce in asbestos waste (dust & fibers) is banned in India. The villagers committee gave a 33 page written submission in Hindi to the DM through SDO with annexures comprising of scientific and medical opinions. Their submission is attached. Their written submission concluded by saying that administration should save villagers from the hazardous factory instead of saving the poisonous factory. Villagers explained how fake public hearing and faulty environmental clearnce happened by blatant factual misrepresentation. A total of 4 pages as against more than 300 pages of EIA were given to the villagers. The EIA report referred to agricultural land as barren land. When UAL representative and EIA consultant was asked to explain, the consultant replied that by barren he meant vacant land. He argued that Bihar Government does not stop factories in agricultural land. 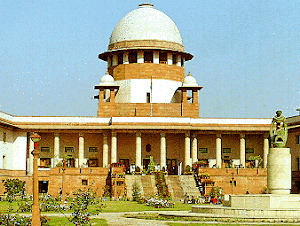 On behalf the villagers’ committee, it was argued that a Union Labour Ministry document of September 2011 states, "The Government of India is considering the ban on use of chrysotile asbestos in India to protect the workers and the general population against primary and secondary exposure to Chrysotile form of Asbestos." The inconsistency of the Union Environment and Forests Ministry was pointed out. Its vision documents recommends phase out of asbestos but at the same its Experts Appraisal Committee continues to give environmental clearances to white asbestos based factories. It was unanimously agreed that white asbestos related diseases like Lung Cancer, Asbestosis and Mesothelioma referred to in the EIA report can only be prevented by preventing exposure to white asbestos. 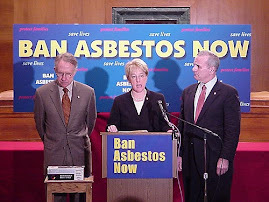 But the fact is that incurable diseases caused by the exposure to asbestos fibers can only be prevented if asbestos based factories are prevented from being set up. 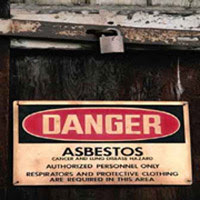 It was pointed out that Union Railway Ministry has decided to make all railway platforms in the country asbestos free. It was also pointed out that soldiers and policemen who live under asbestos roofs must be saved from its harmful effects as National Human Rights Commission has decided that keeping even inmates under such roofs is harmful and violation of human rights. Surely, our soldiers and policemen deserve to be treated better than prisoners. In fact, unlike China where prison labour is used for asbestos work, in a democracy, there is no justification for subjecting fellow citizens to asbestos exposure including prisoners. The committee stated that 55 countries have banned use of asbestos. In the absence of environmental and occupational health infrastructure, the state governments should realize that health is a State subject and act to save the public health of its citizens. 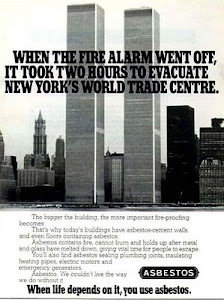 There was a discussion about how the buildings of World Trade Center (WTC) which was shown in the advertisements of the global asbestos industry for its fire proof nature collapsed and liberated 5,000 tonnes of asbestos from sprayed asbestos fireproofing and asbestos floor tiles used in the twin towers. Sadly, WTC scrap contaminated with asbestos, PCBs, cadmium, mercury and dioxins was exported to India as part of about 70,000 tons of scrap before it was stopped following objections from environmental groups. UAL representatives agreed that their plant will be using 100 % imported asbestos from asbestos mining countries like Canada, Russia, Kazakhstan, China and Brazil. It was admitted that in India, mining of all kinds of asbestos is banned including white asbestos. UAL representative referred to WHO and ILO resolutions seeking elimination of future use of white asbestos as ‘accusations’ against the benign asbestos fibers and compared harmful effects of asbestos exposure to harm from drinking too much alcohol and road accident. This was emphatically rejected on behalf of committee of villagers as quite insensitive. The consultant of the EIA report has admitted that “Construction site has a potential hazardous environment”. It also admits, “Asbestos fiber will be used in the plant as a raw material is hazardous in nature, the industry will give information to the workers on hazards associated with asbestos”. UAL failed to satisfy the villagers. Its own EIA report refers to protection and education of asbestos hazards to workers but villagers are not even mentioned. The Government will take steps to see that the schools run under the private management also replace the asbestos roofs with country tiles by fixing a time frame. c) The Government should see that in future no new school is allowed to commence its functions with asbestos roofs. These recommendations are relevant for Bihar as well. Villagers referred to protest against the asbestos plant of Chennai based Ramco Industries at Bihiya, Bhojpur as they are facing water scarcity due to massive consumption of water by the plant. The news clippings from Bhojpur dated June 14, 15, 16, 2012 were shared with the district administration. In Bhojpur, the next protest meeting is planned on July 15, 2012. The SDO, DSP, DSLR and all the participants present in the meeting were informed about how an ex-army person, Ram Agar Sharma, a native of Vaishali who is in the business of supplying security guards has revealed that most of the guards he supplied to asbestos factories in Rajasthan like Ankit Roofings, Jaipur became diseased. Therefore, he refuses to provide guards to asbestos based factories. It is a fact that migrant workers from Bihar are getting employed in hazardous industries like asbestos across the country without knowledge about disastrous health consequences for themselves and their family members because they carry hazardous materials like asbestos fibers on their clothes. 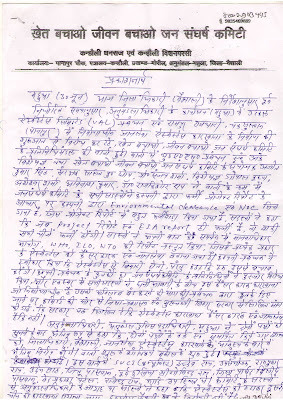 The Hindi Press Statement of villagers is attached. ToxicsWatch Alliance was present as part of the villagers committee to present facts from public health perspective as opposed to those doctored facts in pursuit of profit at any human and labour cost. Villagers await DM’s decision to plan the future course of action. providers capable of taking over time-bound transactions.